Replacement lens without tab only for K&S Dual Sport Turn Signal #25-7000 and 25-7002. What size and type of screw do I use with this cover? You are to re-use the screws that come with the K&S Dual Sport Turn Signals in order to fix them to those units. 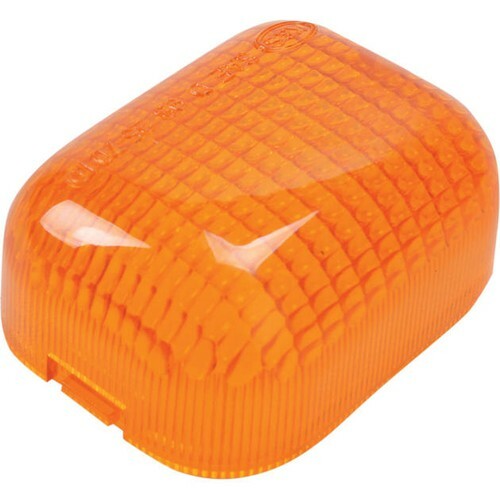 If your machine is not equipped with those particular turn signals, we do have stock replacement turn signal lenses in the form of the K&S DOT Turn Signal Replacement Lens. As with the Dual Sport turn signal lenses you've asked about, you are to re-use the original screws to fasten those lenses to your bike's turn signal housings as those are not included in the package.